News - Guy & O'Neill - Contract and Private Label Manufacturing | Guy & O'Neill, Inc.
Fredonia, WI - January 16th, 2019 — Guy & O'Neill is named one of Milwaukee’s Best and Brightest Companies to Work For® by the National Association For Business Resources. Guy & O'Neill's dedication to practicing innovative strategies and representing best practices are the key factors in winning this award. Tom Misgen, Chief Executive Officer at Guy & O’Neill, said "We are very proud to be named one of Milwaukee’s Best and Brightest Companies to Work For®. We are consistently investing in our company, our people, and our community, and it's exciting to see those investments being recognized". “Profitability and stability are essential for businesses in today’s economic climate. Companies that recognize that their employees are key to their success achieve staying power. Our 2019 winners create their human resource standards to ensure employee satisfaction and they set standards for every business to aspire toward,” said Jennifer Kluge, President and CEO of NABR and the Best and Brightest Programs. An independent research firm evaluated Guy & O'Neill's Compensation, Benefits, and Employee Solutions; Employee Enrichment, Engagement and Retention; Employee Education and Development; Recruitment, Selection and Orientation; Employee Achievement and Recognition; Communication and Shared Vision; Diversity and Inclusion; Work-Life Balance; Community Initiatives and Strategic Company Performance to decide that Guy & O'Neill is one of Milwaukee’s Best and Brightest Companies to Work For®. The Best and Brightest Companies to Work For® is a national program with annual symposium and award galas presented in Atlanta, Boston, Chicago, Dallas, Detroit, Grand Rapids, Houston, Milwaukee, San Diego, and San Francisco. Visit www.thebestandbrightest.com for more details. 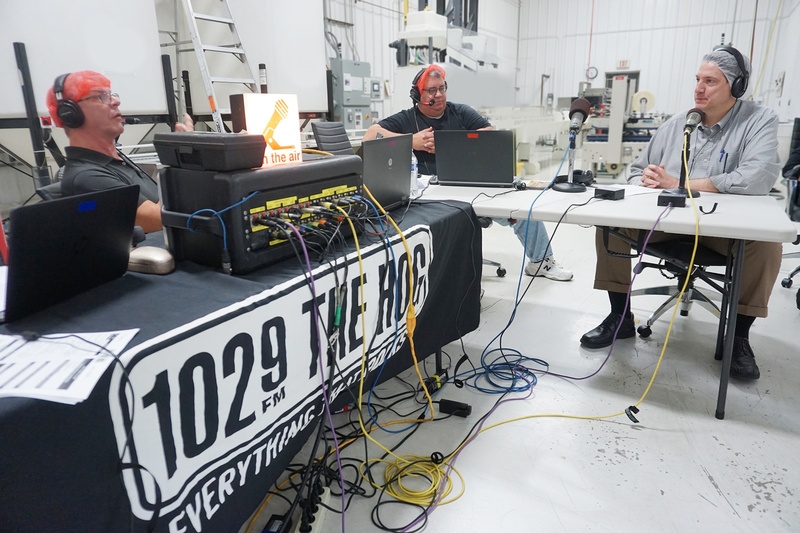 A big Thank You goes out to Bob and Brian, Carrie Wendt and the 102.9 crew who were at Guy & O'Neill on Sept. 6th broadcasting from one of our production facilities. Here are just a few of the photos from the event. Fredonia, WI – Guy and O’Neill Inc., a private label and contract manufacturer, has been awarded a 2018 Top Workplaces honor by The Milwaukee Journal Sentinel. This is the third year in a row the company has been bestowed the award as it was also recognized as a top workplace in 2016 and 2017. 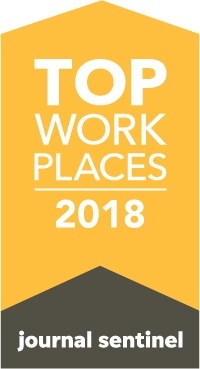 The Top Workplaces lists are based solely on the results of an employee feedback survey administered by WorkplaceDynamics, LLC, a leading research firm that specializes in organizational health and workplace improvement. Several aspects of workplace culture were measured, including Alignment, Execution, and Connection, just to name a few. Fredonia, WI – Guy & O’Neill Inc., a manufacturer of household cleaning supplies and personal care products, is donating disinfecting wipes, bath wipes and other personal hygiene products to aid Hurricane Harvey Relief and Recovery. “Guy & O’Neill is a company that cares, and not just with our own employees and customers, but also nationally. And the people in Houston need help”, said Tom Misgen, President of Guy & O’Neill. Items like cleaning wipes, bath wipes and personal hygiene products are not often the most popular to donate, but they are much needed. “An item like a bath wipe can give people a little bit of normalcy back in their lives. I imagine there are people who have not had the luxury of a shower in a week or so and these products give them the opportunity to hit the reset button”, Misgen said. The company is trying to provide a sense of home and comfort from their community in Fredonia, Wisconsin to the families and communities in Houston, Texas. The commercial retail value of the products being sent down there is roughly $200,000. The semi-truck of product ships out on Tuesday, September 5th and it will take about 2 days before it will get down to Texas, before it can be unloaded and given to people in need.